Trilok loves pasta, I think I may have mentioned that a number of times before. He also loves mac ‘n’ cheese like most of us :). So to put a spin on mac ‘n’ cheese I concocted a mac ‘n’ soup dinner tonight. 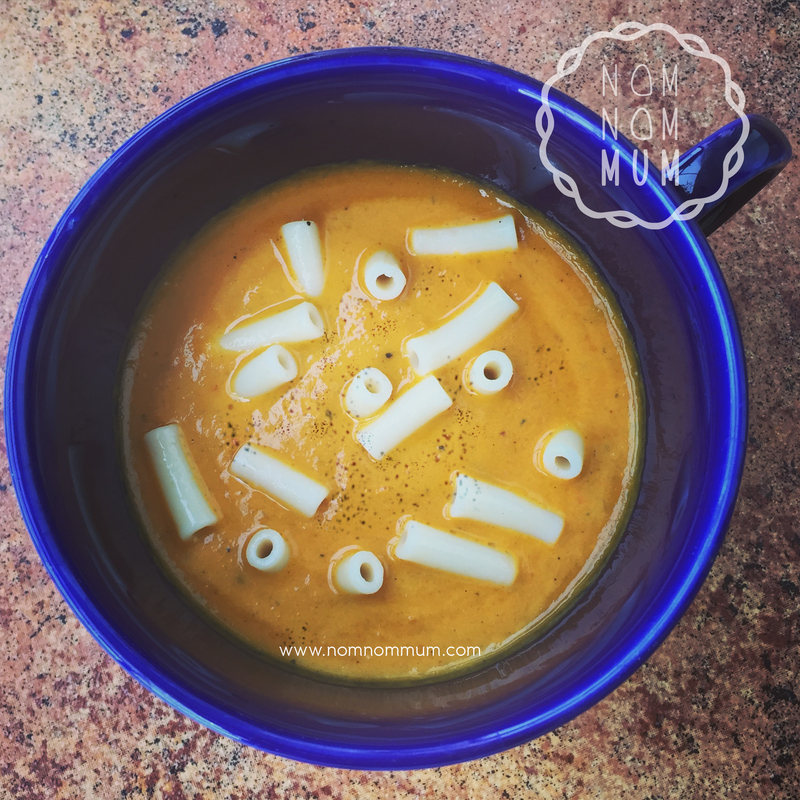 It was a thick, smooth, flavoursome, basil, carrot and red pepper soup doused in cream with a helping of mini macaroni in it. I particularly love this because it’s just so healthy and filling and you can make the soup out of any available veggies at hand. It’s a welcome break from the regular dinner routine!